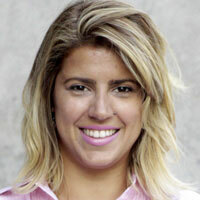 Rafaela Romero is an Architect and Urban Planner for Transport Engineering at the Rio de Janeiro Ciy Hall. She has also served as Advisor of the Operations Board at the Traffic Engineering Company for the City of Rio de Janeiro. In these functions, she works to facilitate traffic operations and develop contingency plans and mobility solutions to the challenges brought on by major events such as the 2014 World Cup and 2016 Olympic Games. Additionally, she has published articles on these topics and worked as a consultant on urban mobility. Rafaela has a professional degree from UFRJ as Architect and Urban Planner and a Masters degree in Transport Engineering from COPPE. She participated of a MBA at COPPEAD. Through the Rio de Janeiro City Hall, Rafaela is part of “Carioca Leaders,” a program to develop governance and leadership skills for highly productive members of the municipal government.